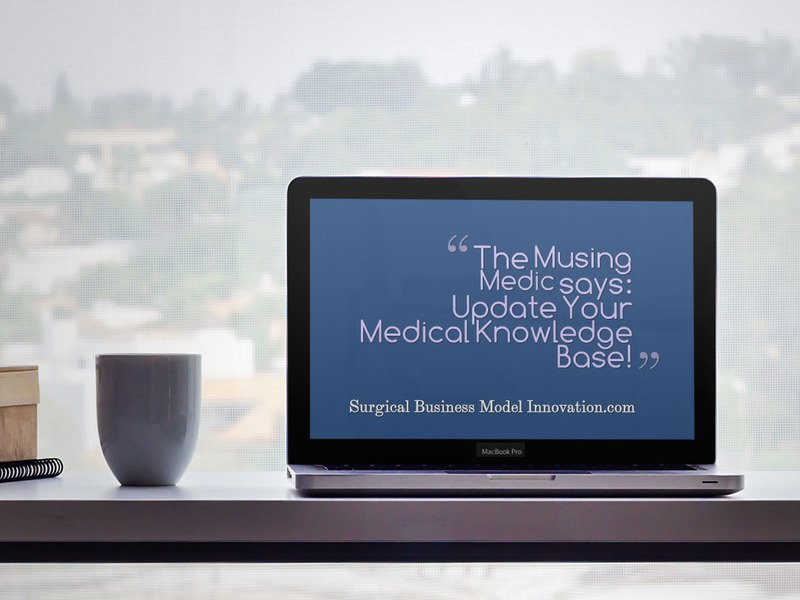 Update Your Medical Knowledge Base! Posted on August 28, 2014 Author David	No Comments on Update Your Medical Knowledge Base! Medicine is a fickle creature. It is equal parts art and science. The idea of perfection in the field is quixotic. Yet we continue to move forward with research and adapt our practices to the evidence…or at least we should. Unfortunately, as we continue adding years under our belts, we move away from reading and updating our knowledge. I think this is true of any profession outside of academia. We become complacent to a degree. The only time we change our thinking is every four years or so when our certifications are in need of renewal. New information presented in the renewal course is blended into our practice. But outside of that and the occasional trade publication, we move along and do what we know. Is that ok? Modern research has led to the revamping of many practices that were once considered dogma in clinical medicine. Two of my favorite ones that should have gone by the wayside (but have not) are the use of Trendelenberg positioning and the consistent use of supplemental oxygen in acute coronary syndromes. Evidence collected from completed and ongoing research has indicated both of these time-honored treatments, as benign or helpful as they may seem, are in fact detrimental to patients and influence morbidity and mortality rates. Now I could have easily provided information regarding the aforementioned studies but since this is an article dedicated to keeping oneself updated, I think it would be hypocritical…and so I’m stopping here. This, then, is your challenge: go and find the information for yourself. Brush up on those research skills. Tell me if you agree or disagree with my thoughts on Trendelenburg and supplemental oxygen in ACS as described above. Previous Previous: Surgeons: Don’t Ignore This Severe, Treatable Disease!